It may be obvious that Corn Flakes and Frosted Flakes are both made by Kellogg's, but did you know that Hot Pockets and L'Oreal share a parent company in Nestlé? 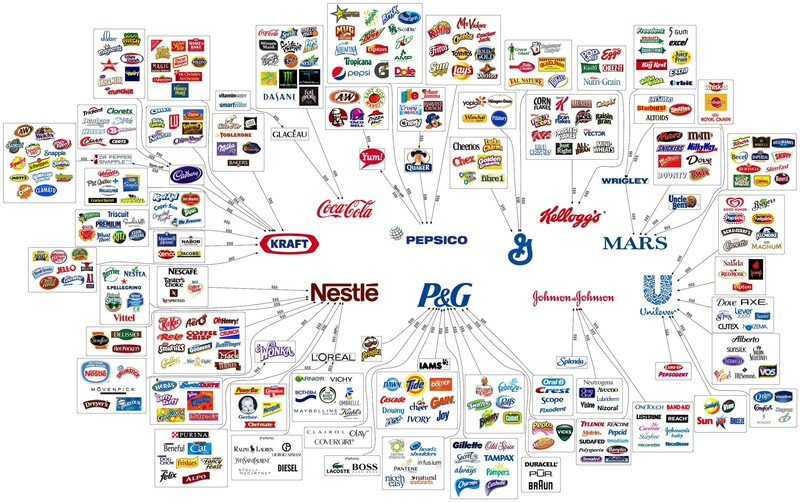 A ginormous number of brands are controlled by just 10 multinationals, according to this amazing infographic from French blog Convergence Alimentaire. 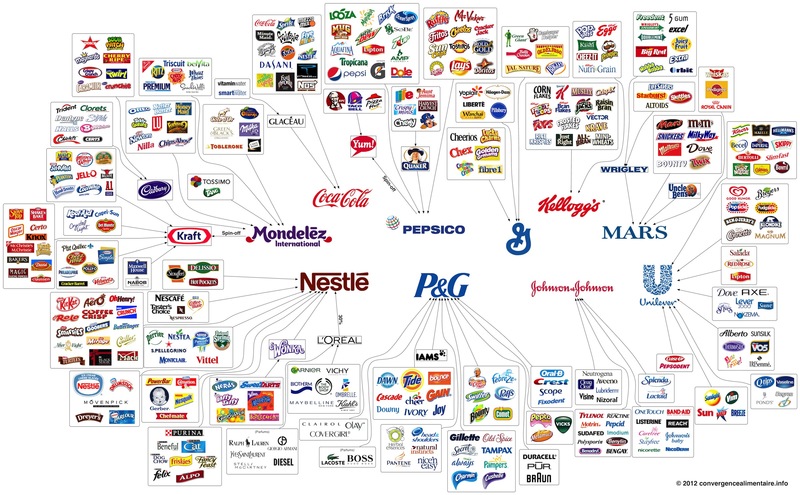 Now we can see just how many products are owned by Kraft, Coca-Cola, General Mills, Kellogg's, Mars, Unilever, Johnson & Johnson, P&G and Nestlé. It's not just the consumer goods industry that's become so consolidated. Ninety percent of the media is now controlled by just six companies, down from 50 in 1983, according to a Frugal Dad infographic from last year. Likewise, 37 banks merged to become JPMorgan Chase, Bank of America, Wells Fargo and CitiGroup in a little over two decades, as seen in this 2010 graphic from Mother Jones. CORRECTION: A previous version of this post misidentified General Mills as the parent company of Corn Flakes and Frosted Flakes.